Mix the cornmeal,flour, sugar, baking powder, and salt in a large bowl. Add the milk, egg, and shortening or bacon fat, and blend well. Spoon into the pan and bake for about 20 minutes. Cool and cut in squares. Soooooo good. 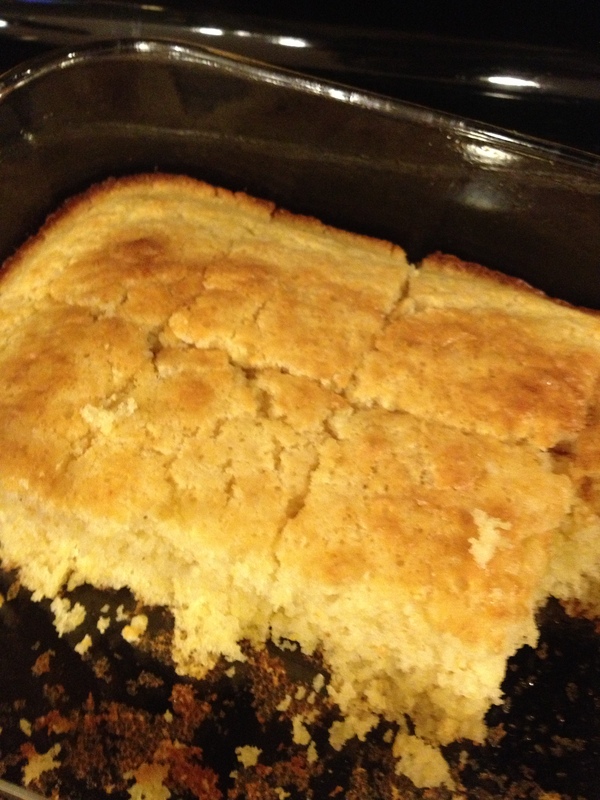 Mad props to the mother-in-law for changing my long-standing views on cornbread!